This Easter's project was to put Junior's engine back into his car. Last year we put a temporary spare engine in the car while the original was out being rebuilt. During my last business trip to the USA (when AUS-$ was above USA-$) I picked up a full overhaul kit for the EJ25 and had it specified with +0.50mm Pistons and -0.25mm bearings. Plan was to remachine his original back to new condition, irrespective of its teardown condition. The engine was bored and machined and reassembled last year and rather than use the original heads with 300,000kms of duty the engine was assembled with a set of Forester heads that had done 40,000km. Picked them up cheaper than the cost of reconditioning the heads. Engine would not start, would it? We had fuel, two of the four cylinders had spark, however we were not flooding the engine. 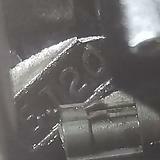 We contacted HradwareBob to have someone to bounce ideas around and it was suggested that check the timing belt. I could not see that I could make such an error, however with an open mind we took the front timing cover off the engine and rotated the engine around by hand to the timing position and everything seemed good. For some reason I paid some attention to the timing lugs on the back face of the left bank can pulley, then I wnet into the garage and pulled out the original left bank head and it struck me that the timing lugs were different. After a check, recheck and double ckeck, yes, the two pulleys between the Gen3 original and the Forester donor heads were different. 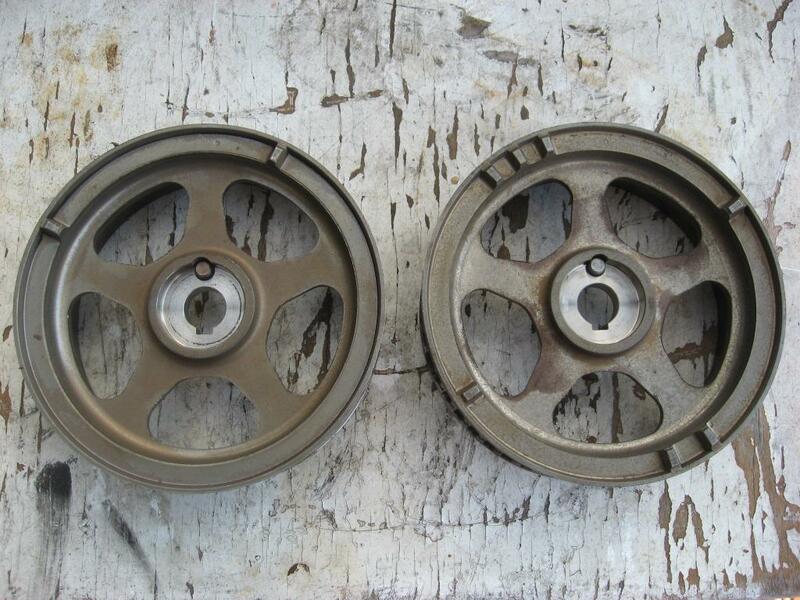 The Forester Cam Pulley is on the left and the Gen3 on the Right. So completely different arrangement to the reluctor tabs on the cam sprockets? Glad to help and glad it all got sorted out!